One thing I love about this time of year is the desire I have to make everything in my wardrobe just a little more cozy. It’s early enough in the season that I’m still thrilled to layer with cardigans, jackets, and scarves, and I don’t yet look at my sweaters with disdain because I’m just. So. Sick. Of them. I know that day is coming but for now I’ll enjoy my cozy layers. 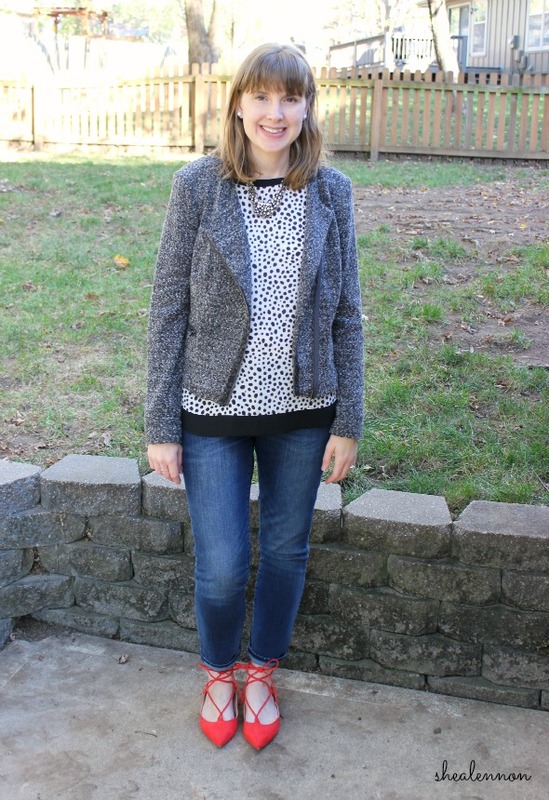 Today I’m layering up this leopard blouse that has become a staple in my work wardrobe. 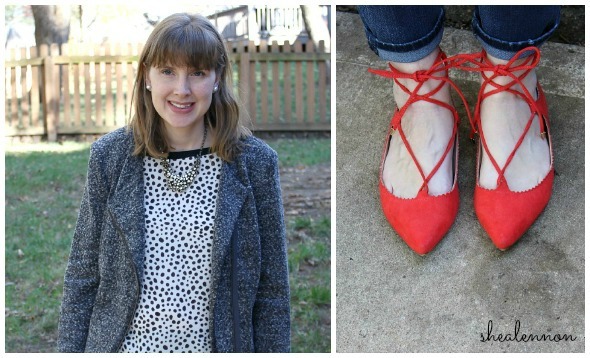 It’s a no-brainer with a blazer and a pencil skirt on days I want to look polished and professional. 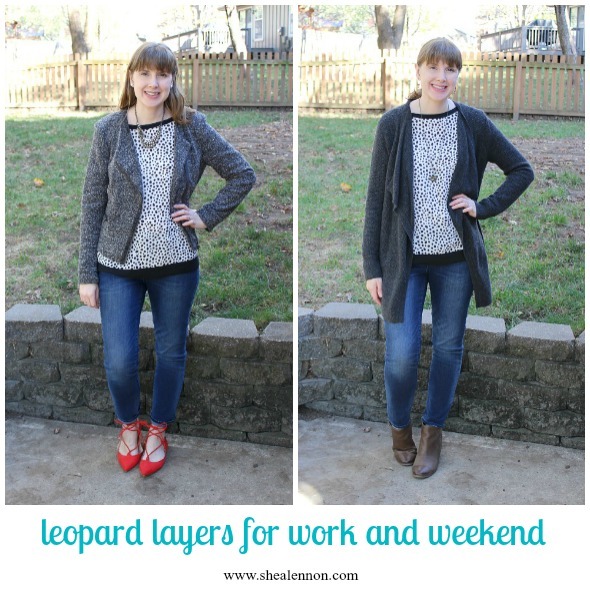 However, with some cozy layers like a moto jacket and a long cardigan, this leopard blouse can also work for a casual Friday at work or errand running on the weekend. For work, I like to find a balance of casual, professional, and fun. The jeans keep it casual, the jacket and blouse add the professional elements, while the lace-up flats are the perfect dose of fun. Casual Friday, I’m ready for ya. 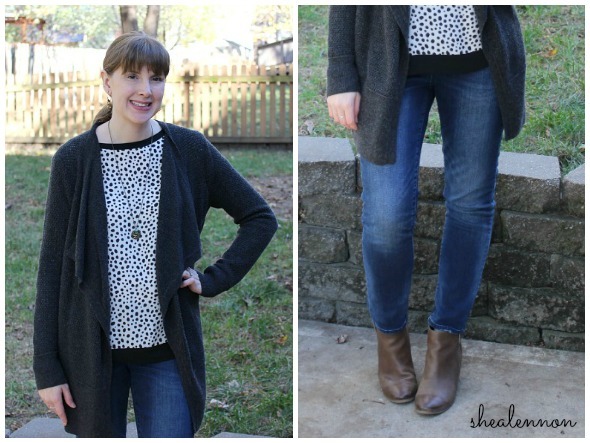 With a long gray cardigan and my go-to ankle boots, this leopard blouse and jeans combo has just the right amount of comfort for the weekend. It’s a look that can easily take me from a shopping trip to a casual dinner date, both of which I’d love to add to my next weekend agenda. How do you cozy up some of your workwear staples? Linking with Mix it Mondays, Let it Shine, Hello Monday, Mingle Monday, A Lovely Little a la Mode, On Trend Tuesdays, Bloggers Who Have Inspired Me, “Leopard is a Neutral” at the Creative Closet, and Thursday Fashion Files. 5 years ago: layering in pink. 4 years ago: making bold color choices for work. 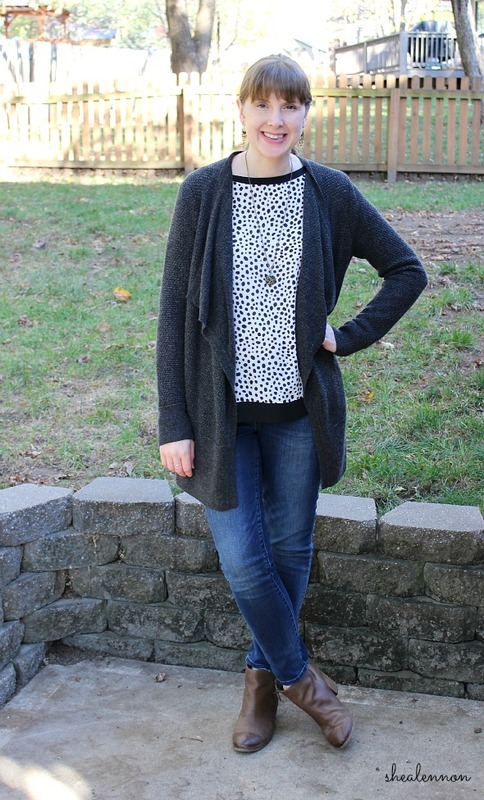 3 years ago: a favorite fall look I still love to wear.